Dr Tony Sood is physical therapist specializing in treating in Sports/Orthopedic Related Injuries. 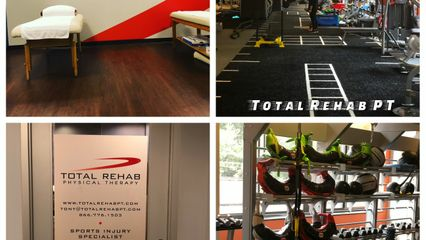 What makes Total Rehab Unique is its high level quality of care. At Total Rehab PT, patients receive 45 to 60 minute one-on-one treatment sessions with only the most highly qualified physical therapists. While typical NYC PT facilities require therapists to see 2, 3, sometimes 4 patients in an hour. This has led to patients being under treated and Physical Therapist's being overworked. With this in mind, Dr. Sood decided to establish a Physical Therapy center where high quality care is stressed over patient quotas. Dr. Sood is a Physical Therapist with over 10 years experience specializing in ART(Active Release Technique), and the Graston Technique. In addition he is Certified Golf Fitness Instructor by the Titiliest. Recently, Dr. Sood has begun working with The National Pitching Association in an effort to help throwing athletes perform better and stay injury free.